The dandelion bloom seemed to be extra bountiful this spring. Being about two weeks behind the typical bloom time of early May, however the bees didn’t mind. 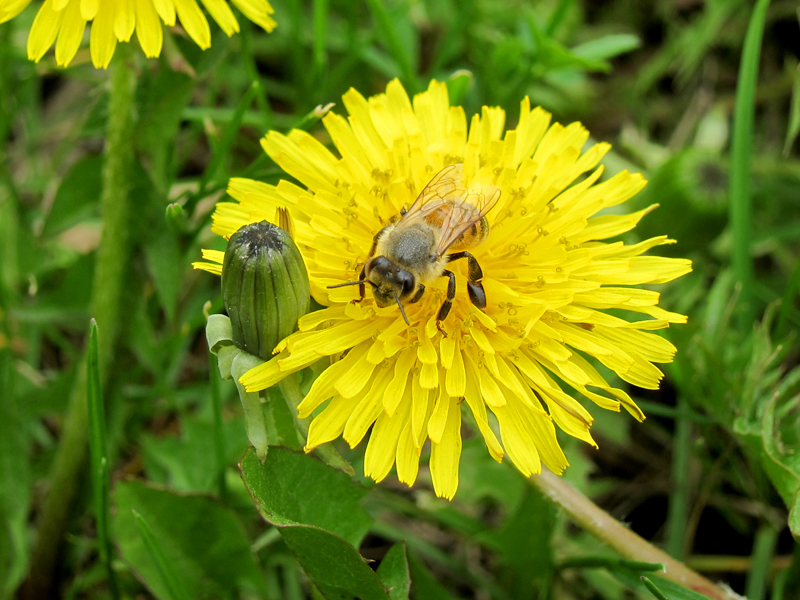 Dandelions provide an important honey/pollen source for honey bees and wild pollinators for spring buildup. The spring honey flow also helps the bees to buildup adequate stores of honey until the major honey flow starts the beginning of July. 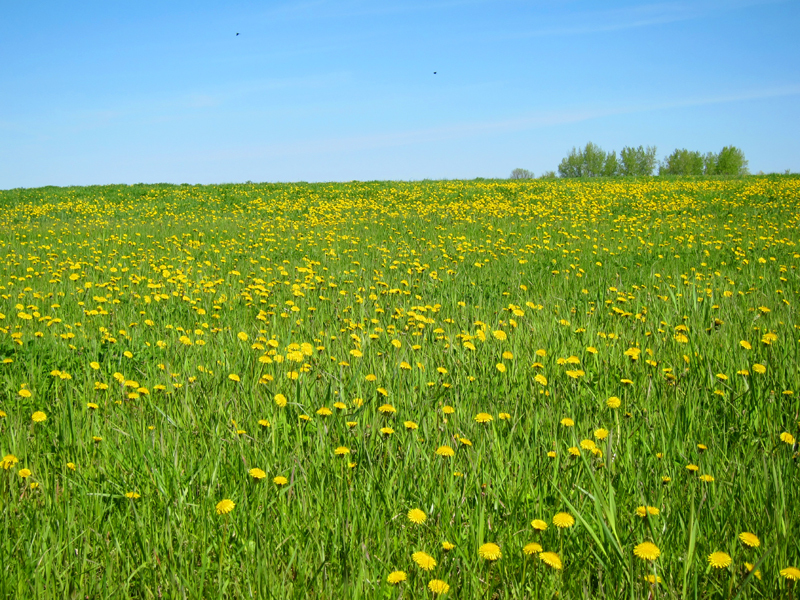 To most people the dandelion is the bane of spring time, but to beekeepers and the honey bees it is a sweet sight!